The food in Tulum is so fresh and naturally healthy that you don’t feel the constant vacation bloat and meal regret. Ladies, you know what I mean! 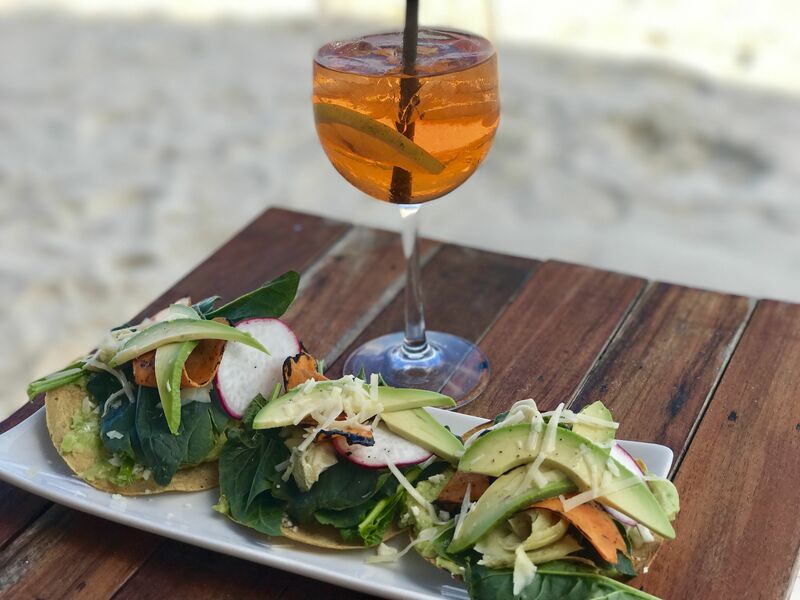 Tulum won’t make you feel like you’ve gained 100 pounds on your week long vacation. 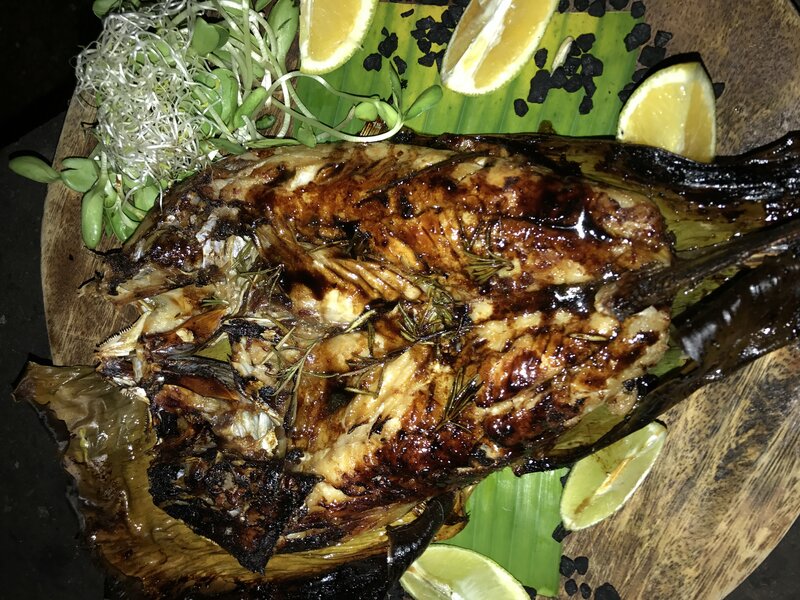 Each meal was better than the next..
Gitano: BEST meal in Tulum if I had to choose. Go family style and order as you eat and drink the night away in this gorgeous jungle restaurant. Many recommended Gitano just for drinks, but I couldn’t disagree more. Each plate was better than the next, and the live band and atmosphere matched that. 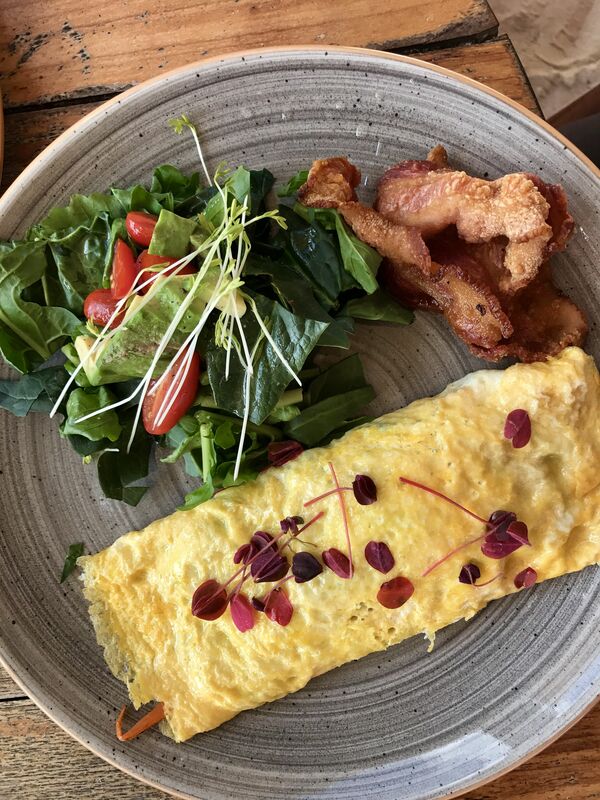 Hartwood: Fresh food with rushed service. Make a reservation as soon as you book your trip. The food was as good as everyone and their mother says it is, but no better than the other restaurants we went to in Tulum. 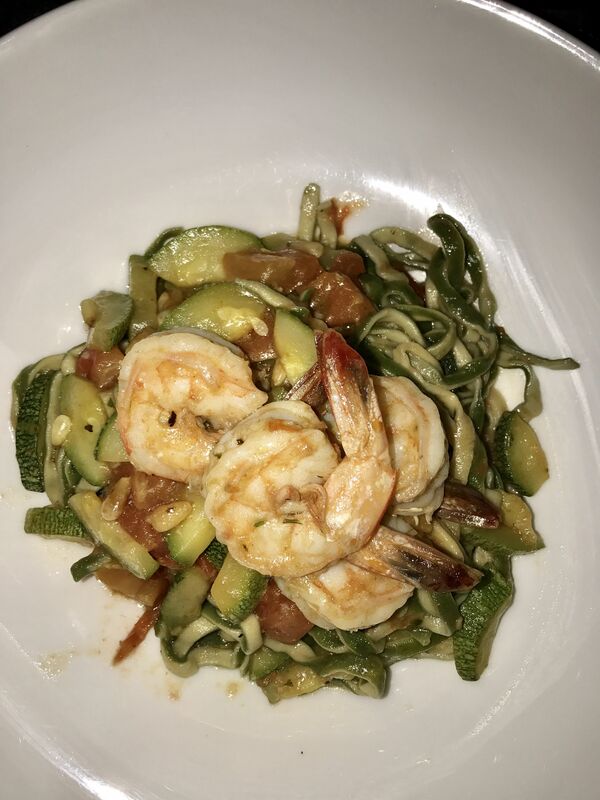 Posada Margarita: The freshest pasta and seafood on the planet. This beachfront restaurant has a chic beachy vibe, with incredible decor. My Dad forgot to bring cash on our first night (which is is a MUST in Tulum, lesson learned!) and the sweet owner let us come back to pay the next day..only in Tulum!! We ended up randomly meeting the owners wife a few days later while at breakfast and she was just as cool as you’d imagine the owner of a place like this to be. 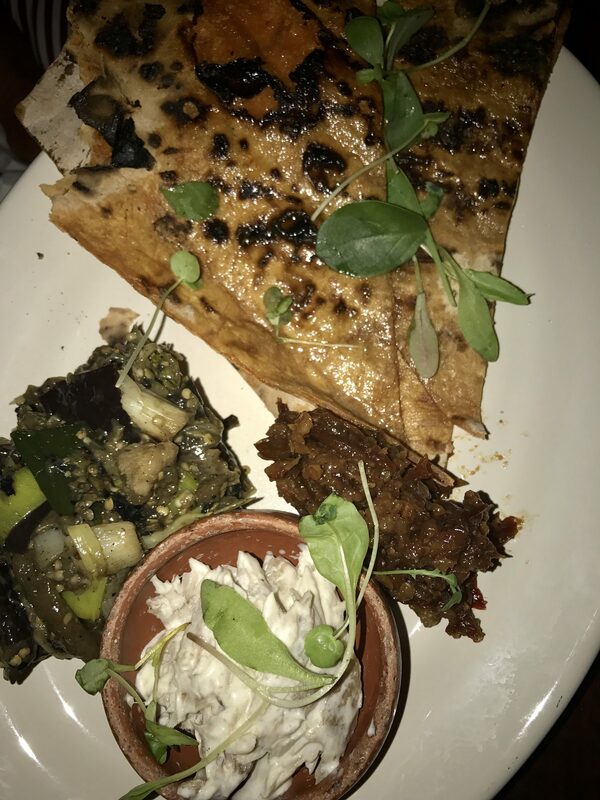 She filled up my notes with plenty of recommendations for next time..
Nomade: A very boho restaurant and hotel featuring the best green goddess salmon salad you will eat. Great for lunch with an ocean breeze. 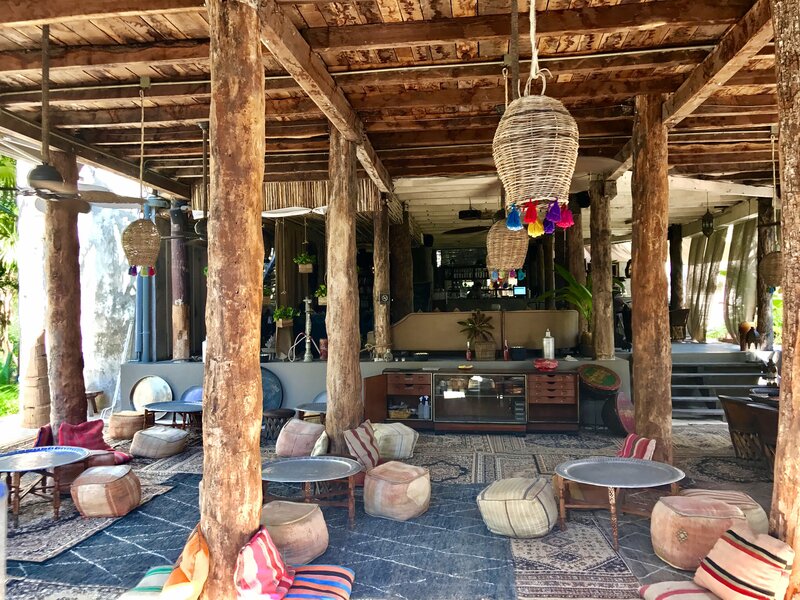 Be Tulum: Delicious and eclectic beachfront restaurant. I loved their fresh tacos and watermelon cocktails while watching the sun set. 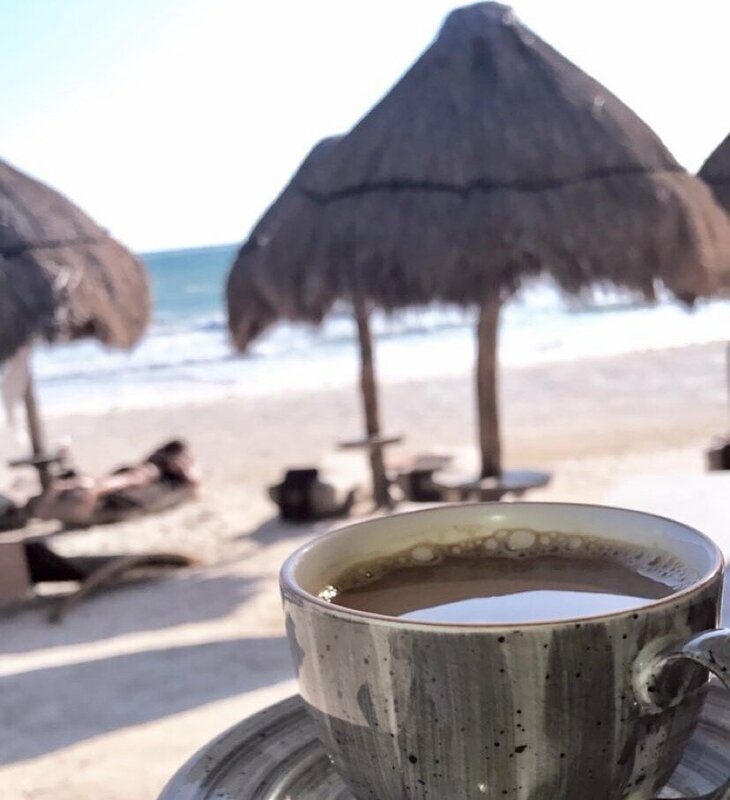 Coco Beach Club: A few doors down from Tata Tulum, you can’t miss their all-white decor and bar swings facing the crystal clear ocean. Fabulous tacos and even better cocktails for an afternoon pick-me-up. 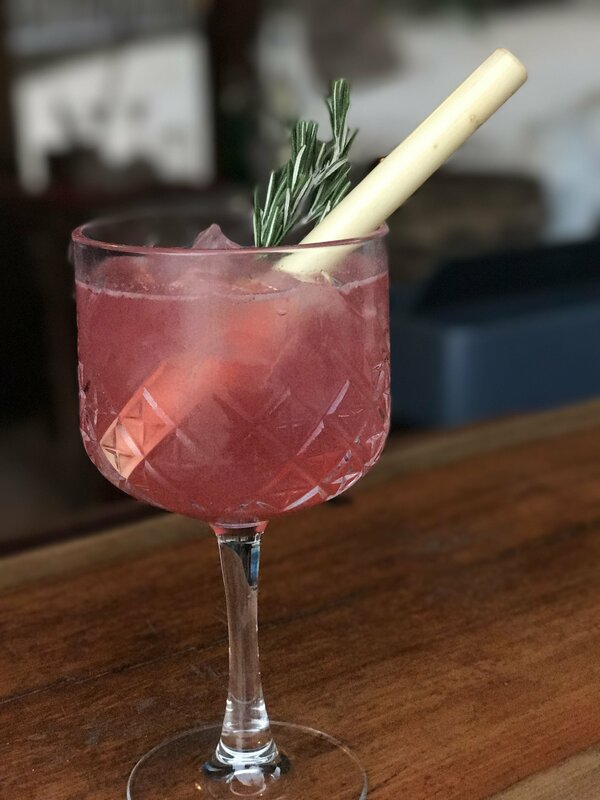 *Don’t be afraid to stop at any fun, nameless bars or restaurants you happen to pass by, there are so many special hidden gems in Tulum, with $1 beer deals to be found and outstanding food/snacks. Matcha Mama: Look out for it or you’ll miss this little roadside cafe. 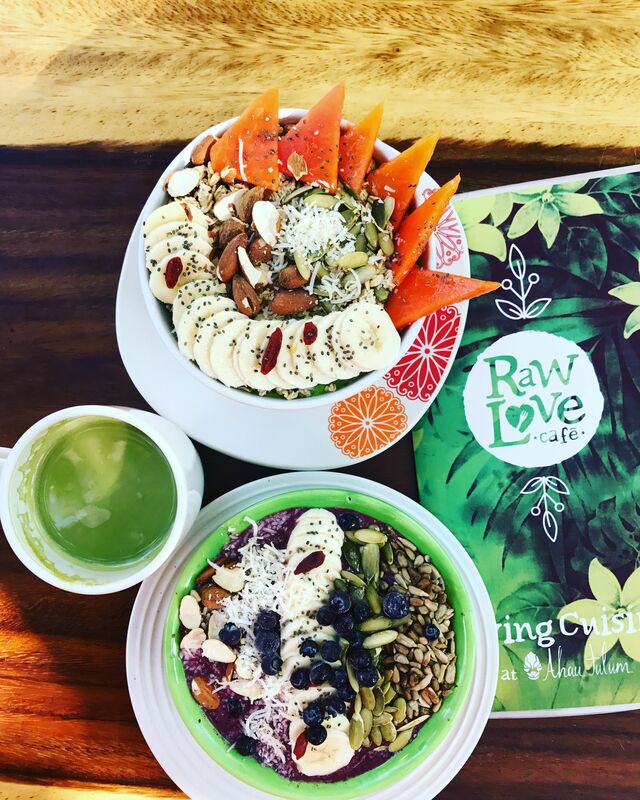 Raw Love: Tucked away in a beachfront resort, Raw Tulum serves the best vegan and raw eats in town. We loved our coconut fat balls, acai bowls, and green juices. I’ve been craving this breakfast everyday since! The atmosphere is so lovely, it makes you want to stay all day cozied up among the trees with a good book. Since we’ve previously done cenote swimming and ruin tours during other trips to the Yucatan Peninsula, we did most of what I do best, sipped cocktails on the beach all day while grazing on chips and guacamole 😉 A note worthy adventure from this trip was renting our hotel’s beach cruisers and biking miles and miles towards the end of the beach (or so we thought), which is the opposite way from town if you’re taking the main beach road. Many pot holes later (and much complaining from me ;)) we made it to a secluded lagoon in the middle of nowhere. This was about 5 miles from our hotel, with no signs or many tourists around. What we discovered looked like an untouched oasis. 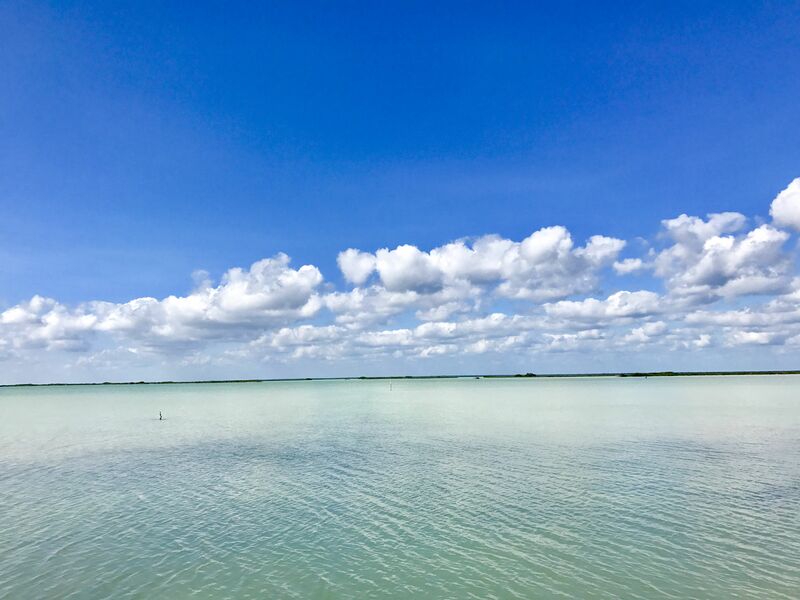 It turns out that tourists can book boat tours to sightsee the abundant wild life in the lagoon. 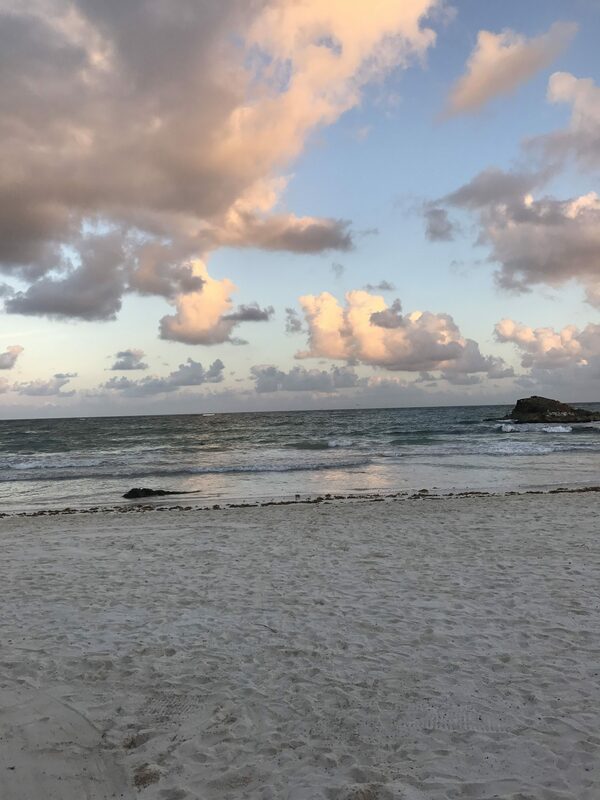 I didn’t read anything on this before going, and let me tell you, I did my Tulum research! Such a beautiful and unexpected adventure. I’ve spoke about Mexico before, and the country is still at the absolute top of my favorite travel list. I love the culture, food, locals, and hospitality. Every time I visit is so much different than before, and I truly can’t wait to go back again! Mexico is my home away from home. I can’t wait to hear about your experiences with Mexico and hope this little guide helps you plan for your next trip to paradise. I love this post! 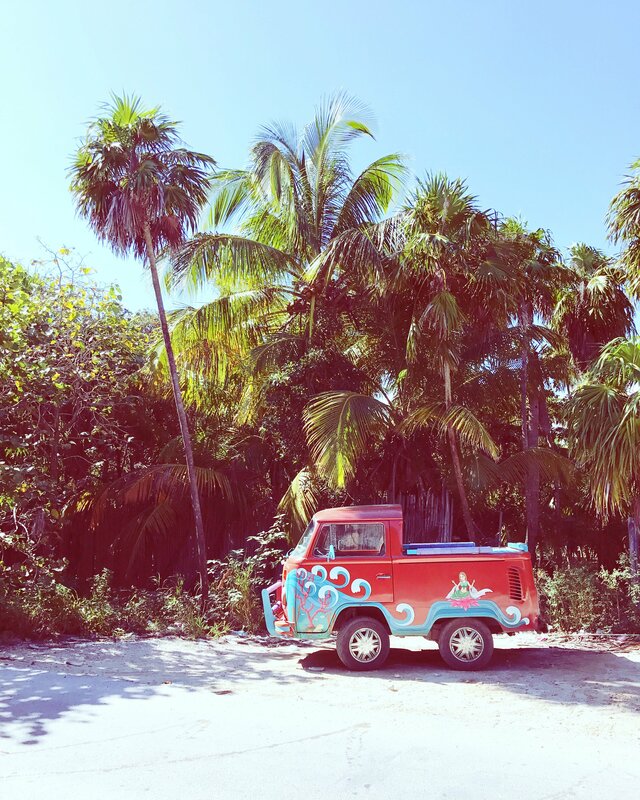 We’re planning a last minute trip to Tulum for Christmas and looking for a family friendly place to stay! Did you come across anything that you would recommend for friends with kids? Thanks!